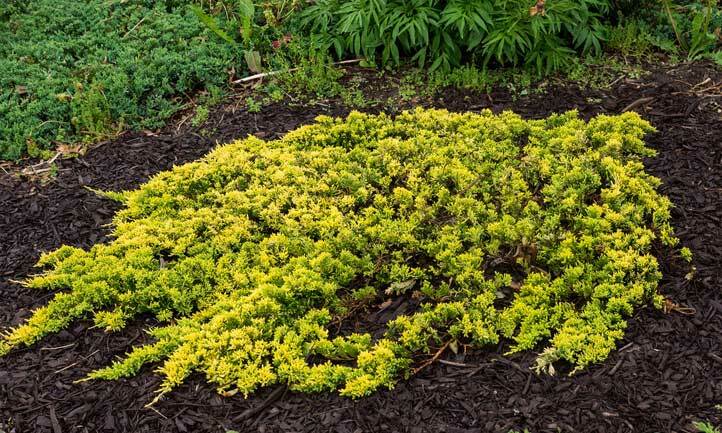 If you’re looking for a ground cover that can grow well with little care, creeping juniper is the one for you. It grows alongside the banks and slopes and makes an ideal foundation plant for your flower bed. Plant it near decks and garden seating and enjoy its subtle fragrance and evergreen appearance. If you have a hillside home and want to improve the look of uneven rocky terrain, creeping juniper is the ground cover to choose. You won’t have to invest too much time in taking care of it or have to plant many batches to cover a large area. Juniperus horizontalis is native to northern North America, mainly Canada and Alaska. It is also grown locally in Montana to Maine, and in Wyoming and northern Illinois. 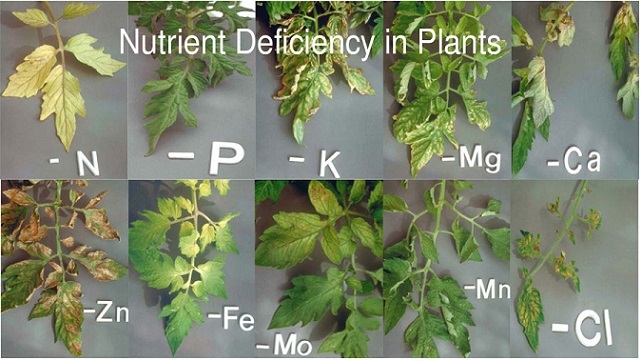 The plant can tolerate fierce conditions and thrive in both extremely hot summers as well as chilly winters. This low-growing evergreen ground cover is a tough perennial that you can grow at any time between early spring and late fall. However, the best time to plant is in the spring when the temperature is rising. Spring is the ideal season, as it allows the roots to get set before hot and dry weather takes over. Juniperus horizontalis “Wilton,” can grow as high as six inches and spread out to 8 feet. It has silver-blue foliage and is more common in 4 to 10 zones. Juniperus procumbens “Nana” is a compact plant that can grow up to 1 to 2 feet in height and width. It has soft blue-green foliage and grows well in zones 7-11. Juniperus conferta or Shore Juniper is ideal for sandy and poor soils. If you live in zones 5 to 10, you can grow Shore Juniper. It bears golden-green foliage and can spread out to 8′ wide and 12-15″ tall. 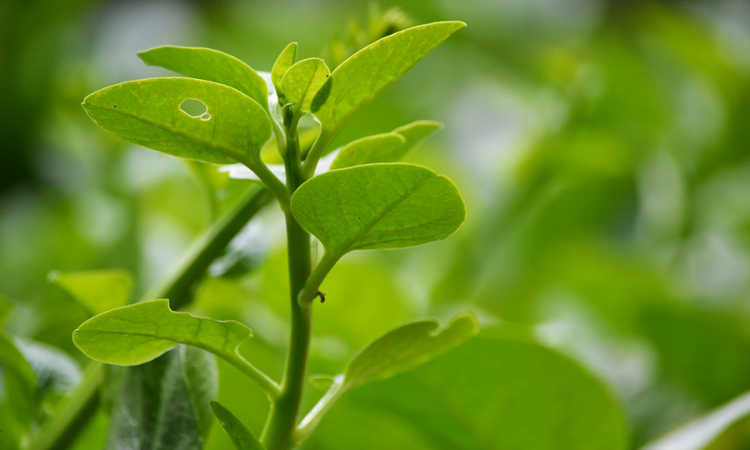 This creeping plant is easy to grow and look after. The tough, hardy foliage requires little attention on your end. You can practically neglect them and still have thriving foliage throughout the year. Let’s have a look at the different requirements that you need to meet for healthy planting, growth, and care of the blue rug juniper ground cover. Although juniper shrubs do not have any specific light requirement, they do grow well in full sun. So, if you’re planning to plant these in your yard, make sure you don’t plant them in a shady area of the garden. Juniper bushes are drought tolerant, making them an ideal ground cover in hotter climates. When transplanting for the first time, you’ll need to make sure and give them ample water. Once established, they’ll survive for longer periods without a drop to drink. 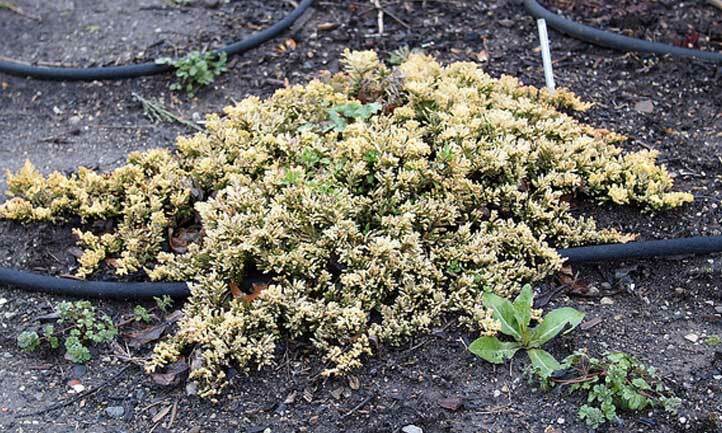 Like many ground covers, creeping juniper can grow in a variety of soils. However, it prefers sandy soil with medium moisture and excellent drainage. It can’t tolerate wet soil, so either make sure your soil has adequate drainage, or add some extra perlite or sand to increase porosity. 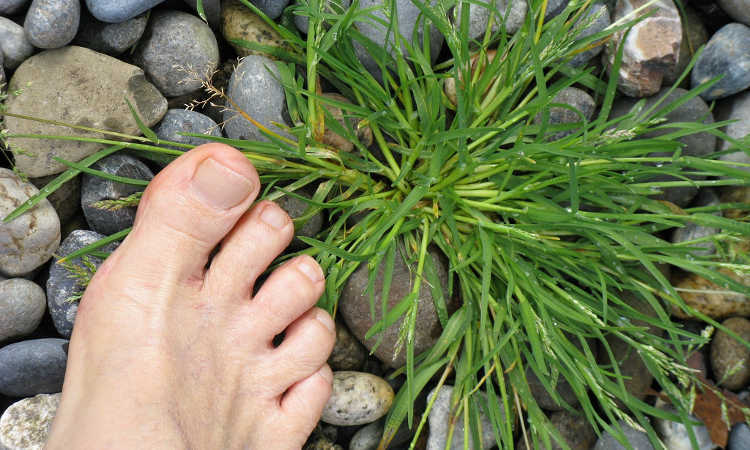 Evergreen ground cover plants usually don’t need much fertilizer. Don’t fertilize the first year when it’s establishing itself. But once the roots are settled in, you can use a well-balanced, complete fertilizer generally used for shrubs and trees. Fertilize in the fall for optimal growth. You can propagate creeping juniper at any time of the year except in extreme winters. Spring or early fall is the ideal time to move your plant or plant a new batch. 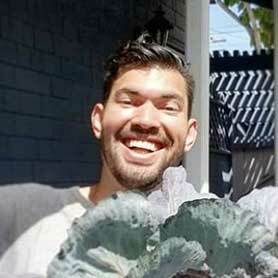 All you have to do is dig the entire plant and its roots and replant it elsewhere. Propagating from existing juniper plants through cuttings can be an exhausting process and will take years before you can see significant growth, so it’s usually better to just buy more at the local nursery or garden center. It doesn’t require pruning or cutting most of the time. You can cut it back if it exceeds its boundaries, but we recommend selecting a variety that spreads to the size of the site you’re planting out. 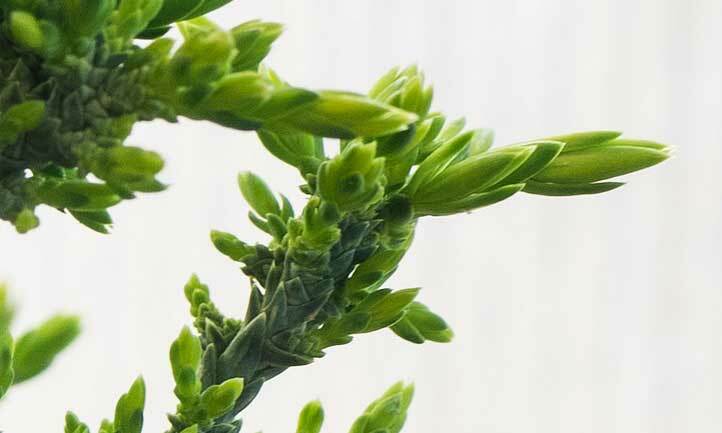 There are a few serious issues you might run into when growing your Juniperus horizontalis varieties. Here’s what to do to troubleshoot these problems! Juniper shrubs are tolerant of most soil conditions, but they need a well-drained soil for optimal growth. If you leave the soil moist, they’ll start to rot out from the roots, and die a quick death. This is especially important when growing juniper in containers. Pests you’ll encounter mainly include bagworms, spider mites, and various types of aphids. If you see these pests use one of many different organic control methods, like neem oil, or refer to our in-depth pest prevention guides. If you notice yellowing of your blue rug juniper ground cover, it indicates a fungal infection. Once you’ve spotted the problem, make sure to carefully trim off the affected parts of the plant. Q. My plant is turning yellow. What should I do? A. Yellowing juniper is an indication of fungal problems. Refer to the disease section above. Q. Is juniper shrub invasive in nature? A. 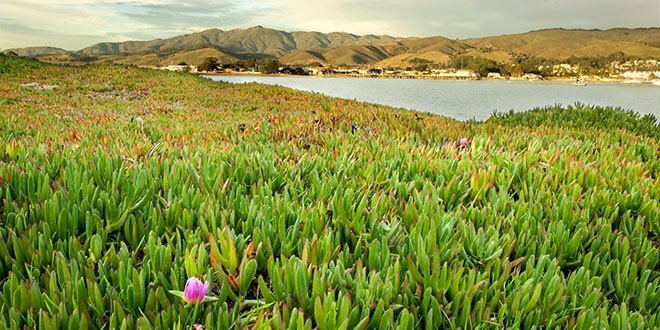 It isn’t invasive when it comes to taking over sections of native landscapes. But if you prune it, it can spread at an increased rate. This is why pruning is not recommended for creeping juniper. Q. Is it tolerant to foot traffic? A. No, not really. It’s best to plant it where people won’t be walking regularly. 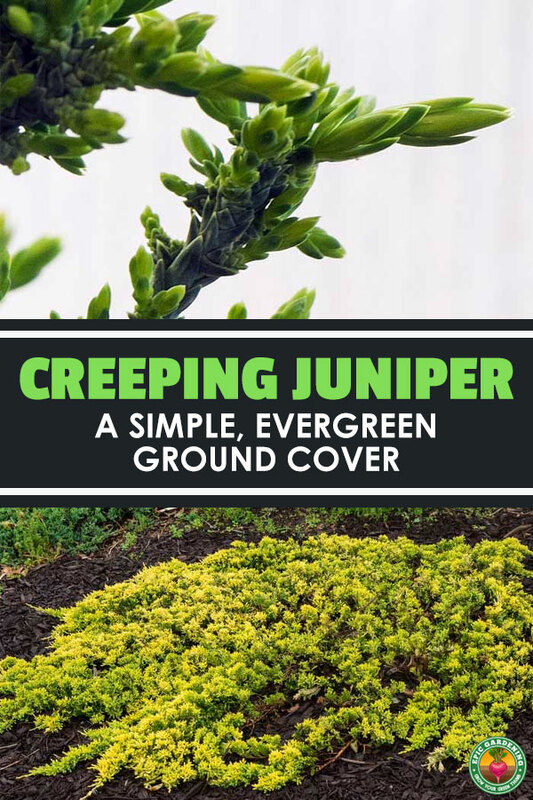 Creeping juniper makes a perfect ground cover for all sorts of weather and soil conditions. You don’t have to put in much time and effort to plant and take care of it. Simple to grow and appealing to look at, it’s an ideal option for foundation plants, terrain coverage and forming borders.